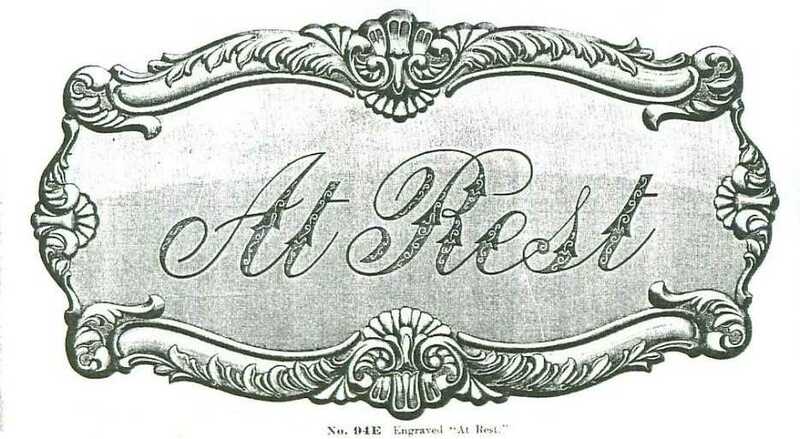 Drawing of a decorative plaque from the 1905 Chattanooga Coffin Company catalog. An identical plaque was found on a recently excavated coffin in the Court Street Cemetery. The village of Tucson’s council closed the National Cemetery (also called the Alameda-Stone Cemetery) in 1875 and opened a new graveyard at the southwest corner of N. Stone Avenue and W. Speedway Blvd. Over the next 34 years the Court Street Cemetery saw over 7,000 graves dug before closing in 1909. People were asked in 1915 to remove the bodies of relatives and friends prior to the cemetery being developed for housing and businesses the following year. Coffins containing human remains, clothing, and personal possessions were left behind. Since 1967 over 50 burials have been found during home improvement projects, utility repairs, or archaeological clearance projects. My talk provides the history of the cemetery, a summary of the people buried there, and a discussion on late 19th century mortuary customs in Tucson. Homer Thiel is a native of Traverse City, Michigan. He received his undergraduate degree from the University of Michigan and a Master’s degree from Arizona State. He has been employed as Desert Archaeology’s historical archaeologist since 1992. Thiel is currently the President of the Tucson Presidio Trust. In his spare time he does genealogical research, bakes cakes, and cleans up after his two cats and two dogs.